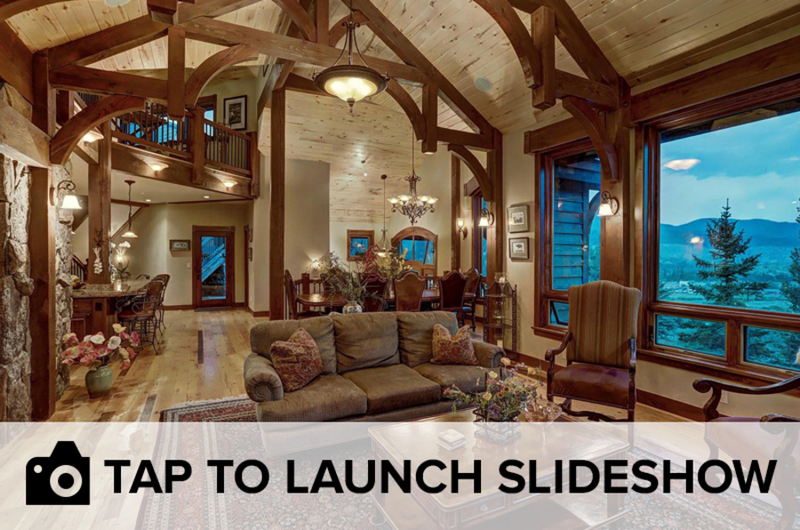 BRECKENRIDGE, Colo. – This week’s Colorado Dream home is a custom-built house near Breckenridge that boasts terrific views and a warm, cozy interior. The six-bedroom, seven-bathroom, 5,654-square-foot home on Silver Dollar Drive is listed by LIV Sotheby’s International Realty for $2,900,000. The home’s lower level features a living space with a pinball machine, wet bar and wine cellar and the deck includes an infinity hot tub overlooking Lake Dillon. Oh, and did we mention that one of the bedrooms has a built-in rock climbing wall?